It's almost time for school to start and we're getting ready around here by making up some great grab-n-go breakfasts, like this Apple Almond Oat Morning Mush, that the kids can eat on crazy mornings when we're running just a bit behind...or any morning, for that matter. This recipe can be made in a bowl for immediate gratification, or set up an assembly line and make several in small canning jars. 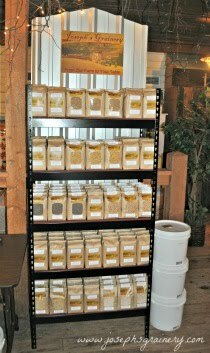 They can be stored in the fridge for up to a week. Just add hot water, let it sit a few minutes and you've got a delicious hot cereal. Chop up a 1/2 cup of apple and lightly splash with lemon juice to prevent browning. Place the ingredients in a bowl or a canning jar. If eating right away, just add boiling water and let sit for about 5 minutes and then stir before enjoying. 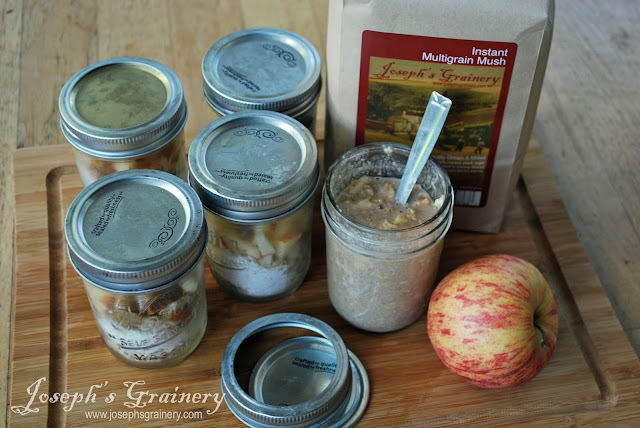 Or you can make several canning jars up and have an on-the-go breakfast on hand. If you do this simply layer the ingredients in the jar, place a lid on it and store in the fridge. When it's time to enjoy, take out of the fridge, add boiling water to suit, stir and replace the lid. Let sit for 5 minutes and then stir again before enjoying.